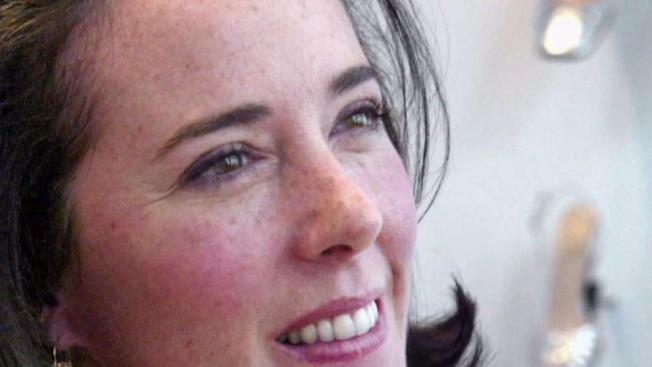 Fashion icon Kate Spade has been found dead of an apparent suicide in her Manhattan home, law enforcement sources tell News 4. She was 55 years old. A housekeeper found Spade hanged from a red scarf on a bedroom door at her Park Avenue residence Tuesday morning, law enforcement sources and officials say. The NYPD confirmed Spade was found unresponsive at her Park Avenue address on the Upper East Side shortly after 10 a.m. There was a note left at the scene, NYPD Chief of Detectives Dermot Shea said, but he declined to elaborate on it. 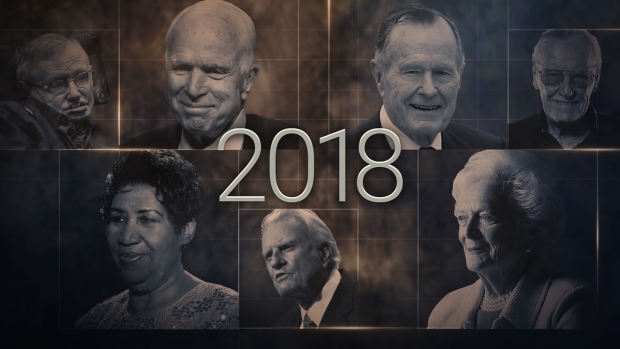 According to the Associated Press, the note had a message for Spade's 13-year-old daughter, who was at school at the time -- it wasn't her fault. Spade's longtime husband Andy was in the house, the AP said. It's not clear how long Spade had been dead before housekeeping found her body. Officials caution the investigation is in its preliminary stages and the medical examiner will determine the exact cause and manner of death. A call to Spade's representatives was not immediately returned. Poor @katespadeny to be in so much pain. Success doesn’t make you happy. True love & peace does. Shocked to hear of Kate Spade’s passing. She was a pioneer for women’s fashion, and to the outside world, a success in every way. But mental illness does not discriminate. No matter who you are. If you ever feel alone, know there is ALWAYS help. Love you. 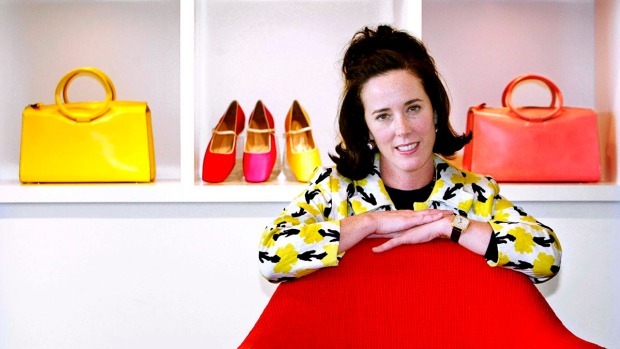 Kate Spade was an entrepreneurial and artistic force, and all of us know that already. But what we don't tend to is what's going on behind the scenes. There's no shame in reaching out if you need it. You're not alone, no matter how alone you may feel. Born in Kansas City, Missouri, Spade leaves behind her husband of 24 years, Andy, and a daughter born in 2005, Frances Beatrix Spade. In the early 1990s, Spade, then an accessories editor at Mademoiselle magazine, launched her company with her husband in their apartment. She started the company based on six shapes of bags that she thought every working woman needed -- and it would propel her to the upper echelons of the exceedingly competitive global fashion and design industry. "I grew up in the Midwest, where you have to have it (a fashion item) because you like it, not because you're supposed to have it," Spade told The Associated Press in 2004. "For our customers, fashion is in the right place in their life. It's an adornment, not an obsession." The company she founded, Kate Spade New York, has more than 140 retail shops and outlet stores across the country, as well as more than 175 stores internationally. Spade walked away from the company in 2007, a year after it was acquired from the Neiman Marcus Group for $125 million by the company then known as Liz Claiborne Inc.
A spokeswoman for Kate Spade New York called Spade's death "incredibly sad news" in a statement. "Although Kate has not been affiliated with the brand for more than a decade, she and her husband and creative partner, Andy, were the founders of our beloved brand," the statement said. "Kate will be dearly missed. Our thoughts are with Andy and the entire Spade family at this time." Coach, now operating under the name Tapestry, paid several billion for Kate Spade & Co. in May 2017. As recently as late April, a Forbes article cited the acquisition as the reason for an expected boost in Tapestry's revenues and earnings. News 4 has reached out to Tapestry for comment. Spade and her husband Andy started a new handbag company a few years ago, Frances Valentine. And she changed her name to Katherine Noel Frances Valentine Brosnahan Spade, she said in an NPR interview this year. Late Tuesday, Spade's sister, Reta Saffo, released a statement saying it was a very "tragic and sad ending" to her life. "She did not receive the proper care for what I believed to be Bipolar Disorder," she said in the statement. "She never expected it-- nor was she properly prepared for it. Unfortunately, untreated, it finally took its toll on her." If you are in crisis, call the National Suicide Prevention Lifeline at 800-273-8255 or reach out to the Crisis Text Line by texting ‘Home’ to 741741.